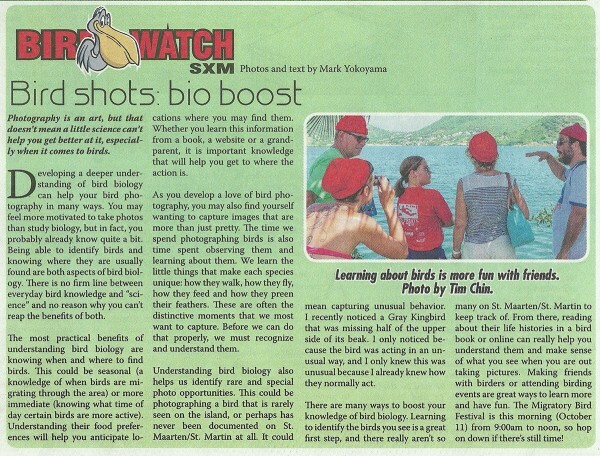 Here’s this week’s Bird Watch SXM column from the Weekender section of The Daily Herald. Check it out to learn how increasing your bird knowledge can improve your chances at getting great bird photos. I will be doing some bird education training this week, so we may not have updates on the blog during the week. In the meantime, check out the Cornell Lab of Ornithology’s All About Birds site for way more than a week’s worth of great bird info.